The Sun does not look so big in the sky; about the same size as the Moon. The Moon is about 800,000 km away from the Earth, but the Sun 150 million km! 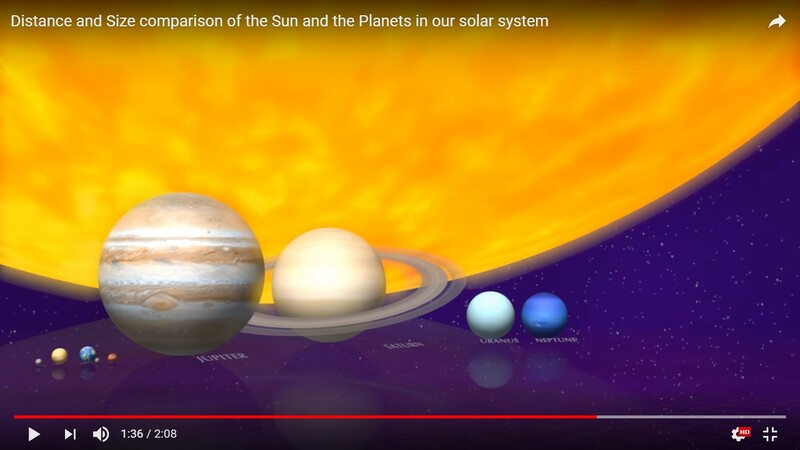 The Sun seems about the same size as the Moon, but because of the distance the Sun is actually much larger. 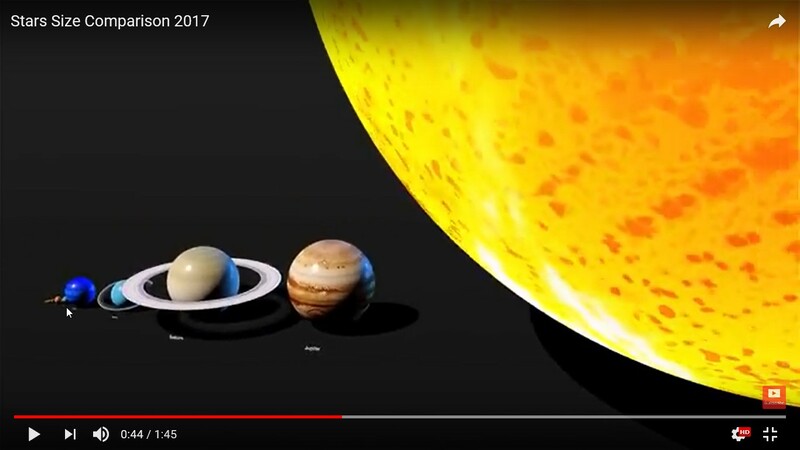 The diameter of the Sun is 1.4 million kilometers where as that of the Earth, which is 12.742 kilometers, seems to be quite small. The Sun is 1.3 million times larger than the Earth! 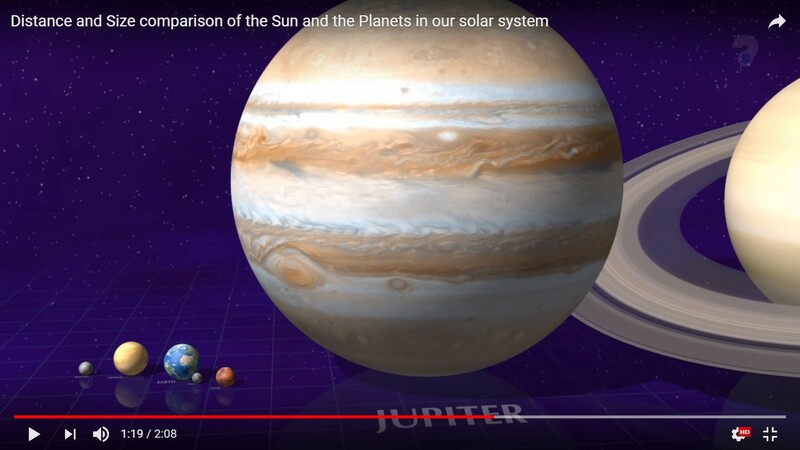 See in the animation video how big the Sun really is. 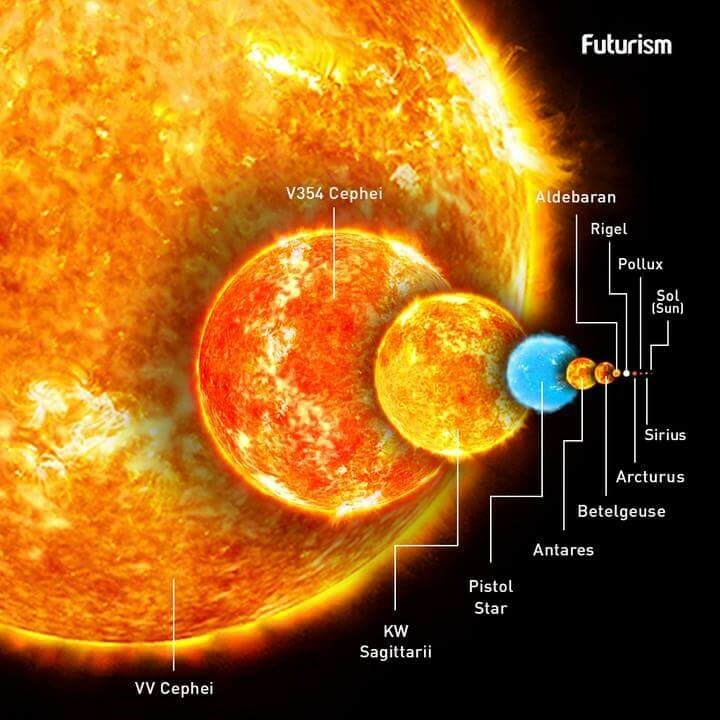 Besides our Sun there are Suns (Stars) that are many times bigger, something we can hardly imagine. 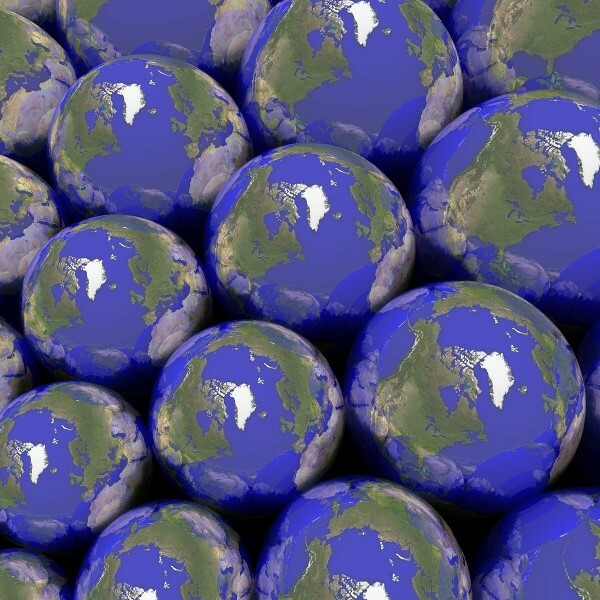 There are more than 200 million Earth Globes with people on it. The largest planet is just over a billion times the Earth. Our planet is a grain of sand compared to such a large planet. Never before had God ever given a present to Lucifer. But this once so shining star caused some embarrassment to God through his beautiful and brilliant ideas. That led God the Almighty to give the Earth to Lucifer. The planet that has existed from eternity. 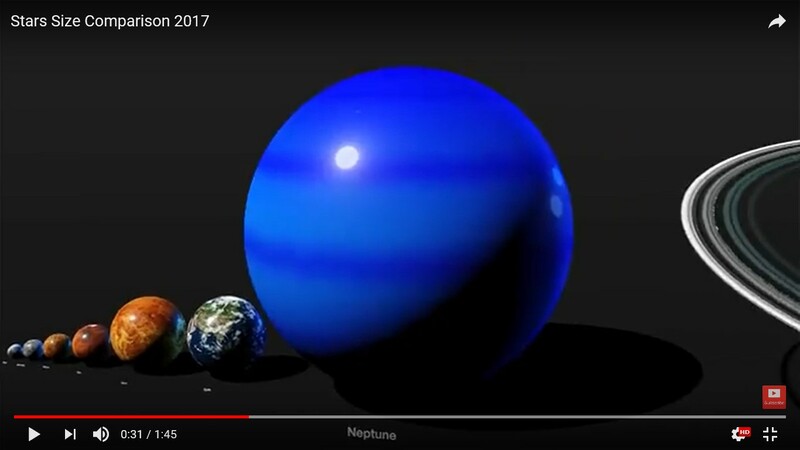 There are more than 200 million planets (Earth Globes) with people on it, yet it was this Blue planet that Jesus preferred to be born on as a human being. How amazing. 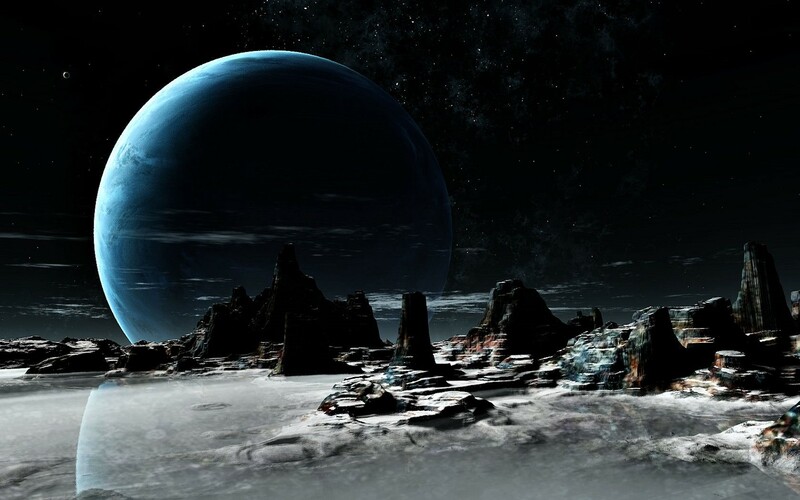 A planet whose mankind spiritually has become so far lost in darkness due to Satan, that no other planet could be found that could be even lower than this earth. 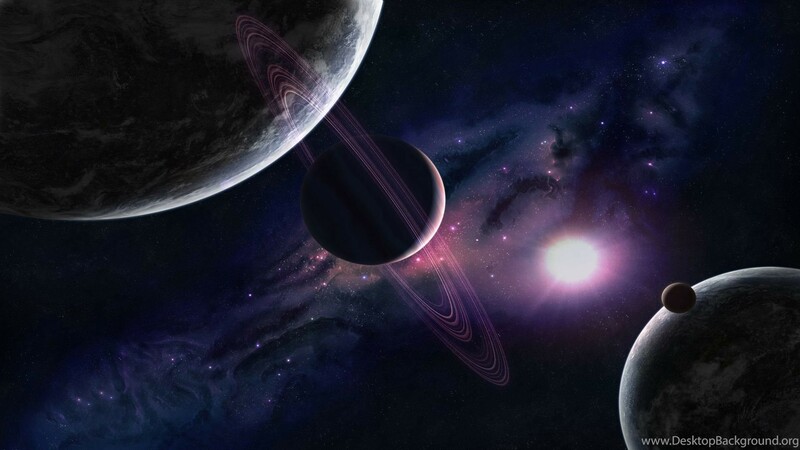 A planet so corrupt and black from sin that Jesus rightly said: “If I conquer man on this planet, then I have everything!” With everything Jesus means, that He will be the only winner also of all the other, more than 200 million planets. He could easily have chosen a planet where harmony prevailed, but He did not. Jesus chose the most violent planet ever. Had Jesus been born on another planet, then Satan would remain in all his freedom and that can not be. He must be captured as soon as possible and the only imaginable possibility was already devised by the Father. Jesus, first had to overcome man. But… after having done this it was not accomplished yet, because after having done that He would only have given Satan a nose bleeding. It would ultimately be the character of man who would overpower Satan. It is therefore not the Christians, but the most exceptional among the people, the false Prophet! This tiny little man, against the once-great Superior among the Angels, Lucifer! How is it possible you would say, but still. For Jesus came to see and He conquered man!